Dr. Patrick O’Connor offers high-quality dental implant restoration for La Habra, Fullerton, and Brea. While there are different options available to replace missing teeth, the only way to prevent accelerated bone loss and preserve the jaw is by replacing the root of the missing tooth. When topped with a life-like crown, dental implants are as sturdy, functional, and attractive as a healthy natural tooth. Our compassionate dentist manages the dental implant process from start to finish and works closely with a trusted specialist to place the posts. Once you are ready for your permanent crown, bridge, or denture, a new impression of your bite is obtained, and your restoration is color-matched to your remaining teeth. Dental implants are bio-compatible posts that are inserted into the jaw bone to both stabilize a number of restorations and stimulate bone growth. 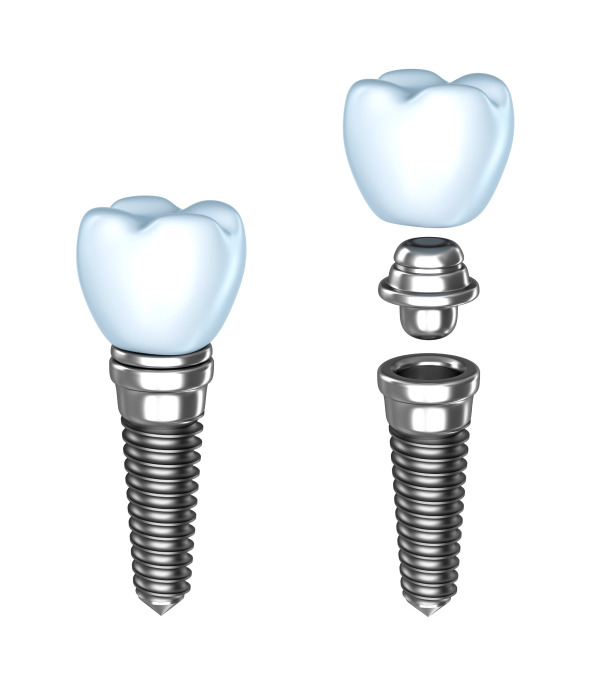 Implant-Supported Crowns - top a single implant for individual tooth replacement. Over-dentures - a removable option retained by at least two implant posts. When one or more teeth are lost, the underlying bone undergoes changes. This process, called resorption, leads to tooth shifting and bone loss. The more teeth that are missing, the more likely your jaw will shrink, leading to a prematurely aged appearance. Replacing missing teeth with dental implants also provides superior stability for the restoration. While a traditional bridge restores basic function and aesthetics, they rely on the alteration of healthy teeth for their support. If a supporting tooth becomes decayed, the bridge will eventually fail. Compared with the alternatives, implant supported dentures pose no risk of embarrassing slippage while eating, speaking, or smiling and provide the best defense against resorption. 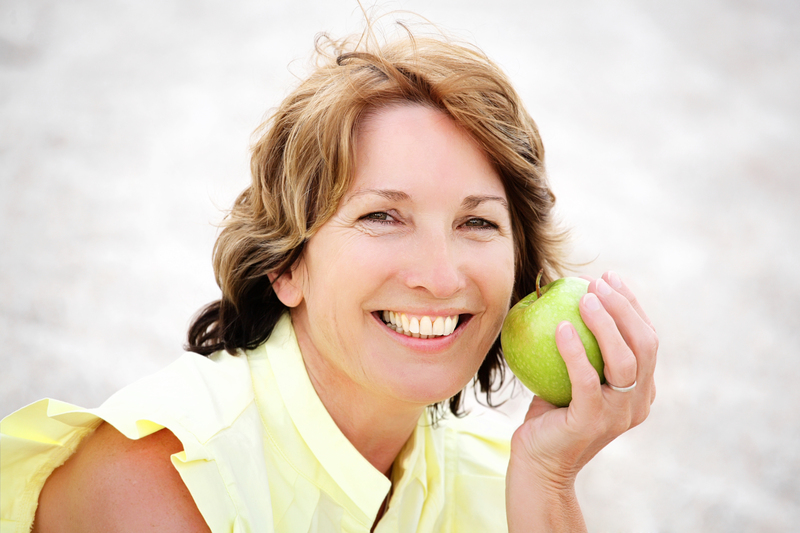 Dr. O’Connor assess your eligibility to receive dental implants and performs extractions when needed. After a full examination, if you have sufficient jawbone volume to proceed, the first step is having the titanium posts placed. If your jawbone needs strengthening, our dentist coordinates this care with our specialist to perform bone grafting before the implant is placed. The recovery time needed for the post to integrate with the jaw is several weeks. During this time you are provided with a temporary prosthetic that will not impede healing and are monitored closely by Dr. O’Connor. Our compassionate dentist manages the dental implant process from start to finish and works closely with a trusted specialist to place the posts. Once you are ready for your permanent crown, bridge, or denture, a new impression of your bite is obtained, and your restoration is color-matched to your remaining teeth. Our dentist is meticulous and has earned a reputation for producing only the best crowns, bridges, and dentures and exceeding expectations. We value the commitment you have made to your dental health and look forward to helping patients in La Habra, Fullerton, and Brea answer their dental implant questions.